Afterlife with Archie was magic: a seamless blend of horror tropes and famous films combined with everything we liked about Archie Comics. It was an impossible mishmash, oftentimes openly lifting directly from the playbooks of various horror films…and yet somehow it worked, dammit. If the series ever gets back on a decent publication schedule, we expect that it’ll continue to do great. 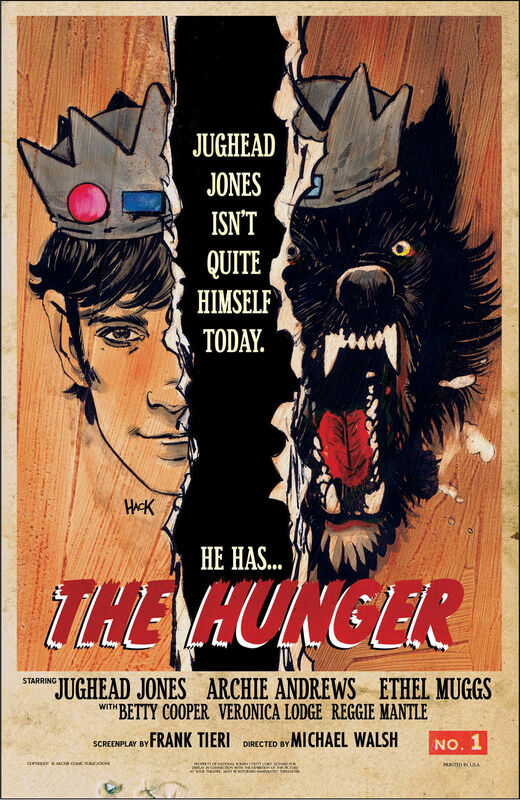 In the meantime, we’ve got Jughead The Hunger which…is not nearly as magical. I hate to be mean to a book like this, as it’s clearly trying to fill the gaping hole that Afterlife‘s shoddy publishing schedule has left. 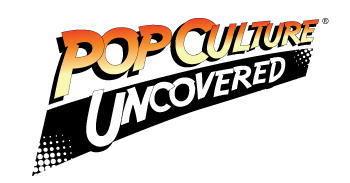 (Seriously, the last issue came out in August.) It’s just not doing what Afterlife did, which was to at least add layers of complexity to a basic story about teens getting caught in a zombie apocalypse with a heavy Satanic influence. Afterlife is a fundamentally Archie story dropped into a darker setting–corrupted, but still very “Archie.” The Hunger is…not. It boils down to “What if Jughead was a werewolf?,” but the boiling has left very little story. The problem is this: Afterlife at least used the joke of Jughead’s infamous appetite as a starting point of a story: Juggy eats a lot, so what if he were a zombie? And then how does that affect his friends and family who get caught in a much larger problem? The Hunger never gets into any fundamental analysis, but instead just simply portrays Juggy as an accidental killer. The Archie gang doesn’t get deeply involved beyond that, other than an out-of-the-blue revelation about Betty which still doesn’t add very much complexity to the story. The Hunger at least makes an attempt at imitating Afterlife‘s tone with Michael Walsh’s more realistic art–although “house”-style Archie is so reduced in usage now that this kind of upgraded style is no longer unique. Walsh and Cunniffee’s muted use of grays and reds certainly follow’s Afterlife‘s dark pallet, but it’s not enough to save Frank Tieri’s story, which is just, again, there without doing anything meaningful. This one is skippable–save your five bucks for that day in the future when Afterlife reappears. Rating: Two burgers out of five.